Provide comfort for the family of James Miling with a meaningful gesture of sympathy. 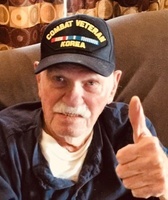 MILING – James E. Miling, age 90, of Grand Rapids, passed away on Tuesday, February 5, 2019. He is preceded in death by his brother, Jack Miling. Jim is survived by brother and sisters-in-law, David (Ruthann) Miling and Kathy Miling; children, Steven (Terri) Miling, Diane (Pete) Russo, Daniel (Maria) Miling, Jeffrey (Barbara) Miling, Robert (Melissa) Miling, Michael (Laura) Miling, and Lisa Wieringa; twenty-four grandchildren and thirteen great-grandchildren. 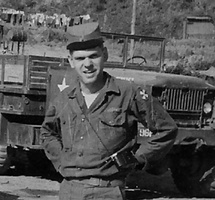 Jim proudly served his country during the Korean War. He had a great love for the outdoors, and many happy memories camping and fishing on the mouth of the Two Hearted River in the U.P. “Grandpa Jim” enjoyed serving as camp cook, along with his faithful dog, Tanner, for the Lincoln and Hillcrest environmental schools. He was honored to join his fellow veterans on the Talons Out Honor Flight to Washington, D.C. and enjoyed overseas travels to visit family in Spain. Later in life, Jim enjoyed walking and visiting friends at Riverside Park and having coffee at Fat Boy on Plainfield. Most of all, Jim treasured time spent with his family, grandkids and great-grandkids. The celebration of Jim's life will be in July of 2019. In memory of Jim, please consider memorial contributions to Grand Rapids Home for Veterans or Kent County Veterans Honor Guard. To send flowers in memory of James Edward "Jim" Miling, please visit our Heartfelt Sympathies Store. Provide comfort for the family of James Edward "Jim" Miling by sending flowers. He was a good man, he will be missed and remembered fondly.